Welcome to the next generation of luxury swimming pools and spas. At Luxgen Pools and Spas, we do more than build pools. We create art. 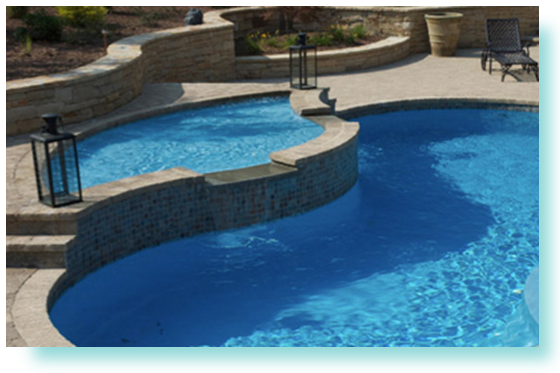 Our expert pool designers and installers will transform your backyard into your very own outdoor oasis. Fully licensed and insured, our A+ BBB rating coupled with our superior customer service, enables us to deliver the highest-quality Trilogy inground fiberglass swimming pools, lap pools, infinity pools, vanishing edge swimming pools and custom spas in the industry. With endless configuration options, we’ll custom design and install your dream pool to create an outdoor retreat that’s just right for you and your lifestyle. Our hydro-therapy spas promote relaxation, pain relief and improved sleep while allowing you to clear your mind and soothe overworked muscles. From dancing waters to custom mosaics to soothing lights, we’ll create a flow that encourages relaxation while enhancing your outdoor living space. At Luxgen Pools and Spas, our exceptional craftsmanship, over 30 years of experience and attention to detail is what sets us apart. Sign up here and receive a coupon code for your FREE Tanning Ledge, perfect for chairs, play areas or sunbathing, and turns your pool into a sensational water feature! Plus, receive tips on how to keep your pool looking beautiful.